It needs to be properly dressed to come together. 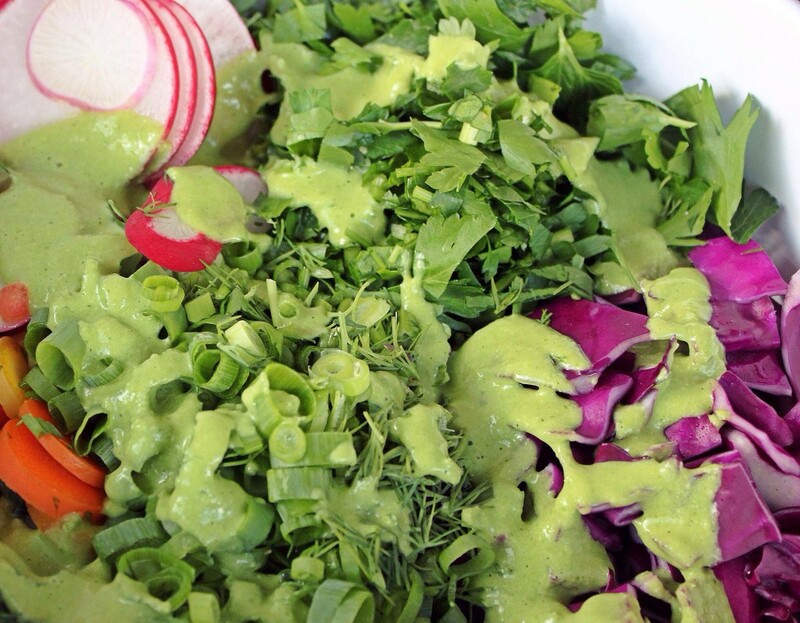 This dressing is tart and rich, and it compliments this salad very well. It’s creaminess comes from avocado and soaked cashews (instead of mayo/yoghurt), and it is where the fat comes from too, no need for refined oils (we are all about whole fats whenever possible). Add as much garlic as you are comfortable with, if too much raw garlic makes you feel hung-over (anyone? ), just add one small clove and some extra green onions. One more note – I recommend that you over-zest your lemon, to include some pith. I know it goes against everything you may have learned in the culinary world, but there is a lot of good stuff in that bitter, white pith. 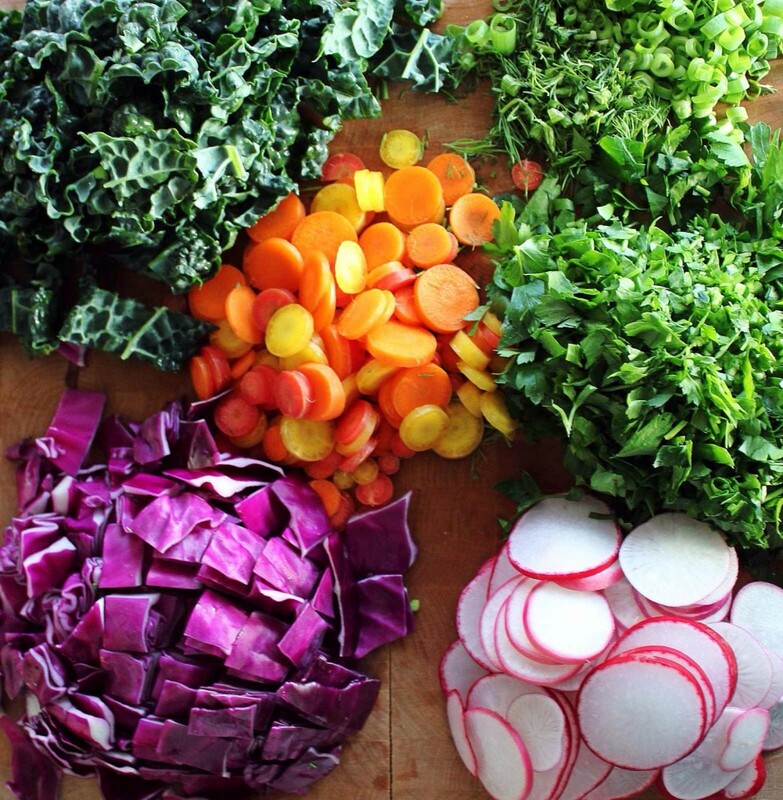 Toss the zest with the salad instead of blending it with the dressing. Blending up the over-zested zest can make your dressing bitter, whereas tossing it with your salad will just add pops of interest. This dressing makes about 500ml (2 cups) and I only used half of it on the salad. It’s really clean and flavourful, so I recommend you make the full amount and use the rest for either more salad later in the week or as a veggie dip. Either way, you will be making veggies quicker, tastier and easier to eat throughout the week, and therefore winning. 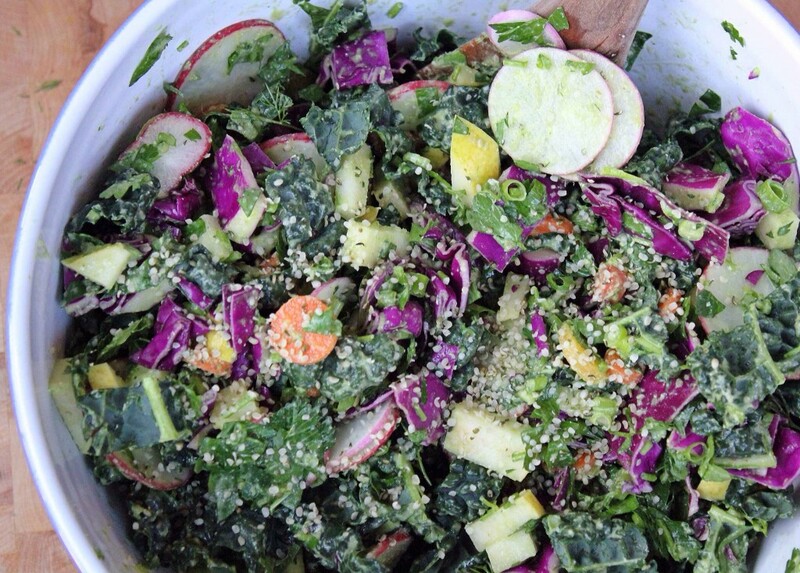 Serve this salad with some hemp hearts for extra protein and texture. Enjoy it as a meal, perhaps with some tempeh croutons, or if your winter seems far from over, pair with a warming stew or soup. It will make your insides feel freshly showered. For real. 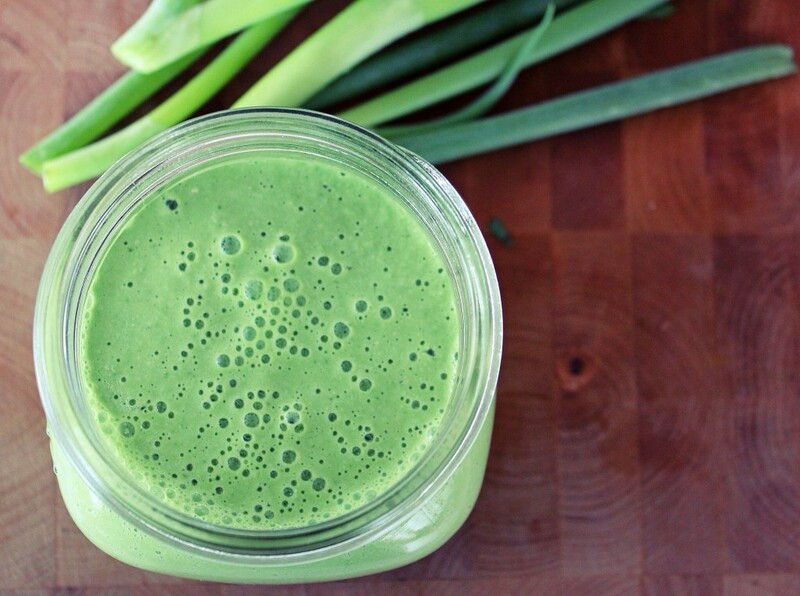 Blend the second half of the ingredients together in a blender, except for the water. Add the water as needed to create a nice consistency.